ComputerXplorers is the market leader in teaching programming and coding to primary school children at First and Second Level. Whether in school workshops, ICT or computing classes or after school activities ComputerXplorers provide specialist classes in programming and coding for children across the UK. The perfect introduction to programming for primary school children. Children in KS 2 as well as older KS 1 will make progress as they learn how to program an animation or video game. 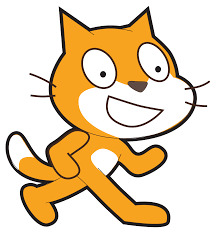 Rather than writing out lines of code children learn the fundamentals of programming video games using Scratch - an easy-to-understand drag-and-drop programming method. If you've enjoyed playing the video games, you will love creating them! Children develop terrific logic, sequencing and maths skills as they create their own platform game. Adding challenges and levels of difficulty stretches their imagination and builds all-important critical thinking and problem solving skills. You are never too young to start - ComputerXplorers work with children as young as 3 helping them to grasp the concepts that underpin all programming.